Recent advances in the study of bats have changed the way we understand this illusive group of mammals. 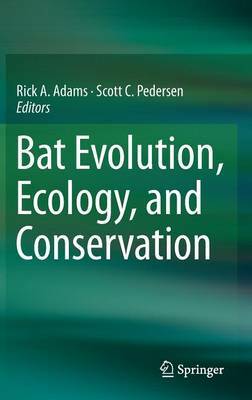 This volume consist of 25 chapters and 57 authors from around the globe all writing on the most recent finding on the evolution, ecology and conservation of bats. The chapters in this book are not intended to be exhaustive literature reviews, but instead extended manuscripts that bring new and fresh perspectives. Many chapters consist of previously unpublished data and are repetitive of new insights and understanding in bat evolution, ecology and conservation. All chapters were peer-reviewed and revised by the authors. Many of the chapters are multi-authored to provide comprehensive and authoritative coverage of the topics.